Lancashire’s Matthew Parkinson has been shortlisted for the Professional Cricketers’ Association (PCA) young player of the year award. The 21-year-old leg-spinner has made an impact across both white-ball formats. He has been leading the way in wicket-taking by claiming 43 dismissals in the shorter format of the game. Top of the tree in the One-Day Cup, Parkinson took 18 wickets at an average of 18 from just eight appearances, including a List A career best 5-68 against Notts Outlaws. 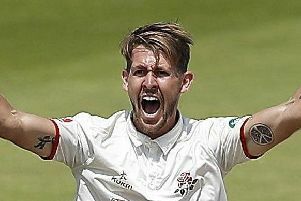 Selected in the England Lions squad for the winter, he also finished second in the Blast wicket-taking ranks with an equally-impressive 25 scalps at just over 16. Parkinson is on the five-man shortlist alongside Surrey’s England Test duo of Sam Curran and Ollie Pope, as well as Worcestershire pair Pat Brown and Ed Barnard. Called up to the Test side after impressing in the County Championship, Curran made his Test debut against Pakistan and became an integral figure for his country this summer, winning the Player of the Series against India. As well as taking 13 Test wickets this summer, Curran has shown his all-round ability, scoring 292 runs at an average of more than 36 in the whites for England. Pope celebrated his nomination with his fourth century of the season against Essex. Averaging more than 70 in the County Championship with the bat and almost 40 in both white-ball tournaments, Pope made his England debut at Lord’s this summer and will be aiming to add to his two caps in Sri Lanka this winter. Barnard has been recognised as one of the most consistent performers on the county circuit by his fellow players. The 22-year-old took 49 wickets and scoring 516 runs in the Specsavers County Championship as well as helping his side to the Vitality Blast title. 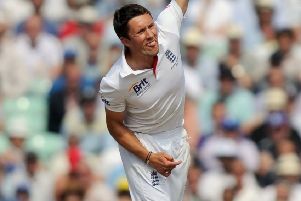 Team-mate Brown was Worecestershire’s star man in T20 cricket as he blew away opposing line-ups. The accolade has been voted for by current players with the winner receiving the John Arlott Cup at the prizegiving ceremony at the Roundhouse, Camden on October 4.